Use these 8 oz coffee cup lids with our 8 oz coffee cups. 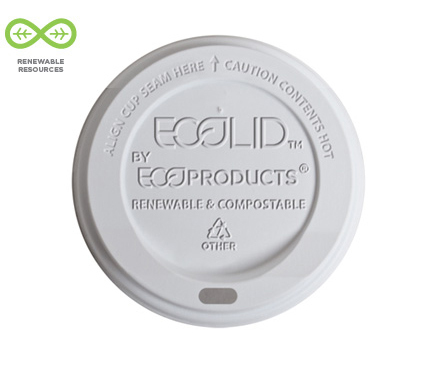 When buying hot cups, don't forget the 10 -20 oz compostable hot cup lid. Our 20 oz eco lid is the lid choice for our 20 oz coffee cups.